Generation Z is coming of age. Arguably the first truly digital generation, Gen Z will make millennials look old school. It’s also commonly referred to as the sharing generation, where social media, crowdsourcing and instant access to information are second nature. According to an AdWeek survey in May 2017, 50 percent of Gen Z can’t live without YouTube, an essential source of entertainment, advice and practical instruction. For most banks, YouTube is a medium for posting bland corporate videos. It’s difficult to see anything but trouble ahead for the traditional banking industry. As Gen Zs have now started entering the world of work, there is bound to be an impact, in particular on how products and services are marketed and sold, but also in how banking reacts to the changing payment patterns, influenced by advancements in technology. Confidence in mobile banking is clearly growing among consumers. A report by the Bank of America recently found that 62 percent of Americans use a mobile banking app today. That’s up from 54 percent of people in 2016 and 48 percent in 2015. This sort of growth has yet to be realised in business banking but it will come. This leaning to cash and mobility is interesting. 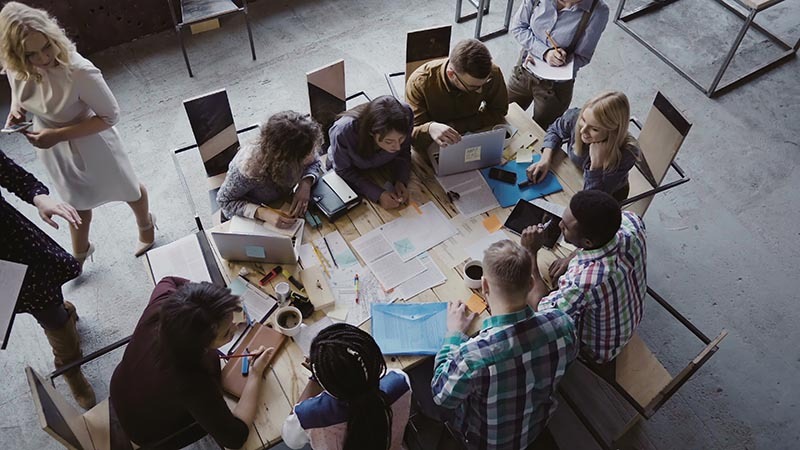 As Gen Zs start in the world of work, payment practises, whether it’s expenses or invoice payments for products and services will seem alien, perhaps even dated. Mobility, flexibility, up-to-the-minute reporting and the ability to manage everything – cards, expenses, invoice payments - in one place, even from your mobile, will become increasingly essential services for banks to offer businesses. Gen Zs will bring this pressure and they will sell it as cost saving, more flexible and easier to manage, just as it is for their own finances. Interestingly, Accenture found that 68 percent of Gen Zs are interested in instant person-to-person payments, more than any other age group. They are not just interested in things like mobile wallets or personal finance apps, they also want them to make decisions for them. This expectancy will challenge any bank. As businesses realise the potential and more importantly the cost savings and ability to manage finances wherever they are, their banking loyalty will be up for grabs. This is the reality facing traditional business banking in 2018 and keeping pace with this change can be time consuming and expensive to manage, making partnerships increasingly important. Better to build loyalty now and impress Gen Zs as they enter the workplace than make them laugh with derision and lose them for good.